Backed by rich industry experience, we are engaged in offering a comprehensive assortment of Reusable Ice Packs that is extensively used in supply chain of medicines, injections, vaccines, blood samples, perishable food products like fish, prawns, veg & non-veg meals, drinks, juices, cold coffee, etc. In a hygienic environment, our offered Reusable Ice Packs are manufactured using the premium quality basic material that is sourced from certified vendors of the market. These Ice Packs are high on demand for their reusability, remarkable quality and cost effectiveness. 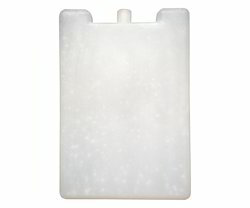 Looking for Reusable Ice Packs ?